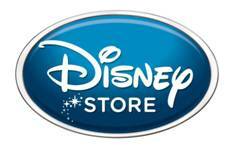 The Walt Disney Company today announced that the first Disney Store in the Republic of Ireland will open on 18th May 2011. The store will open at 60 Grafton Street, Dublin and will trade over 4,750 square feet across two floors. Featuring groundbreaking technology, interactive storytelling and Disney Store exclusive merchandise, the store will bring the magic of Disney to the heart of Dublin for families to enjoy together. Key features of the Dublin store will include the Disney Store Theatre, where children can choose from over 50 clips to be watched on a giant screen as well as take part in free daily events, and the magic mirrors in the Disney Princess Castle, where each of the Princesses are brought to life. Today’s announcement has opened up sales assistant, or ‘Cast Member’, opportunities for high energy and dynamic individuals with a passion for engaging with children and adult visitors (‘Guests’) to the Store. Interested applicants should email their CV to irelandstorecareers@disney.ie.